In this edition of The Daily, we cover the launch of Binance Research, a new analysis division that will produce in-depth reports for customers of the leading cryptocurrency trading platform. We also look at Cobinhood’s decision to add several stablecoins to its platform and the reasoning behind the move. In addition, we focus on SWIFT’s denial of rumors that it has partnered with Ripple, as well as a plot of virtual land that was sold on Decentraland for a record amount of money. Binance, currently the largest digital asset exchange in terms of daily trading volume, has launched a new analysis division. Binance Research will focus on creating institutional-grade research reports, the trading platform said in an announcement on its website. Binance has referred to the service as a new pillar of its ecosystem and claims it’s going to bring more transparency, while also improving the quality of information that’s available in the cryptocurrency space. Binance Research has already produced two detailed reports. The first one is ­devoted to Loom Network, a solution for Ethereum that allows for scalable user-facing dapps and games. The second report covers Gochain, a scalable and decentralized blockchain that supports smart contracts and distributed applications. The research division’s next report will be about Pundi X, a company that has built a platform enabling cryptocurrency payments through POS terminals. This past summer, the cryptocurrency exchange also launched an educational portal called Binance Academy. The platform was announced as an open-access learning hub supported by the team of the company. Binance was established in China last year and has since expanded globally to become the leading trading platform in the crypto space. Cobinhood, a platform that exchanges cryptocurrencies without trading fees, has announced that it’s adding four stablecoins to its offerings. Starting Nov. 9, users will be able to trade gemini dollar (GUSD), makerdao (DAI), the paxos standard token (PAX) and trueusd (TUSD). In a press release, Cobinhood explained its decision to list the coins. 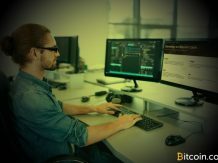 It noted that each one of them has unique features, but said all of them are designed to ensure greater market stability, as regular cryptocurrencies can be particularly volatile. The Taiwanese company also explained that the newly added tokens will be available on its platform for deposits, withdrawals and trading. SWIFT, the international consortium that operates a worldwide network enabling banks to transmit messages and financial transactions, has denied recent rumors about the integration of Ripplenet technologies as part of its next system upgrade. A spokesperson for SWIFT told Finance Magnates the changes had nothing to do with Ripple. The upcoming upgrade involves an add-on to SWIFT’s global payments innovation (GPI) system. The standard was introduced in January of last year in order to increase the operating speed of the payment network, which has been used in correspondent banking for decades. The upgrade was announced this past spring and is scheduled to be implemented on Nov. 18. An investor recently purchased a 126-parcel plot of land on Decentraland for 2.7 million mana, the virtual reality platform’s native token. The acquisition, valued at roughly $215,000, sets a new record for Decentraland, which is owned by its users. The estate was purchased via the platform’s marketplace. It allows users to trade “LAND parcels,” which represent non-fungible digital assets maintained through a smart contract on the Ethereum network. The virtual reality project recently launched a new version of Agora, a platform that allows holders of mana tokens to vote on important matters. One of the first questions they are being asked concerns the time frame for the next land auction, when 9,000 unowned parcels of land will be made available to the community. The post The Daily: Binance Launches Analysis Division, Cobinhood Adds 4 Stablecoins appeared first on Bitcoin News.